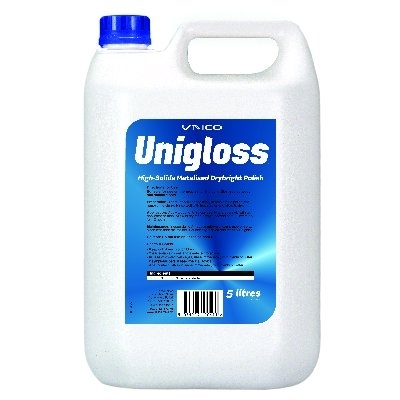 UNIGLOSS FLOOR POLISH 1 x 5 Litre A floor protected with Unigloss will have slip resistance from the optimised blend of polymers and waxes in this product. Unigloss is compatible with many types of flooring including linoleum, thermoplastic, tiles, sealed wood and concrete. 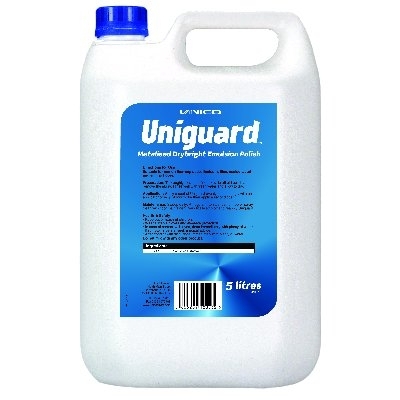 UNIGUARD METALISED POLISH 1 x 5 Litres A floor protected with Uniguard will have slip resistance from its optimised blend of polymers and waxes. Uniguard is compatible with many types of flooring including linoleum, thermoplastic, tiles, sealed wood and concrete . UNIBUFF BUFFABLE POLISH 1 x 5 Litres A floor protected with Unibuff will have slip resistance and a prestigious gloss which can be maintained by regular buffing. 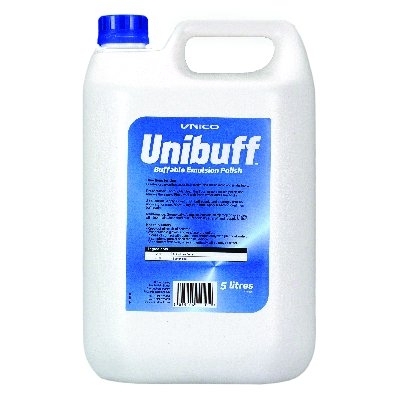 Unibuff is compatible with many types of flooring including linoleum, thermoplastic, tiles, sealed wood and concrete. 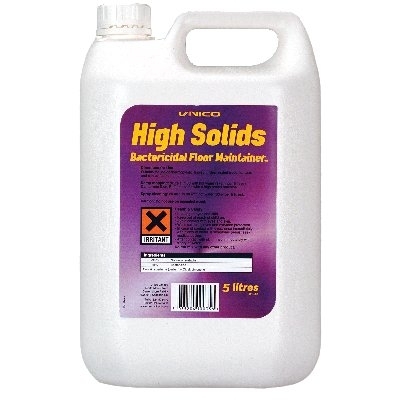 UNICO HIGH SOLID FLOOR MAINTAINER 1 x 5Litres Unico High Solids Bactericidal Floor Maintainer can be used in a wide range of commercial premises. It will maintain thermoplastic, linoleum, tiles, sealed wood, terrazzo and similar floors. 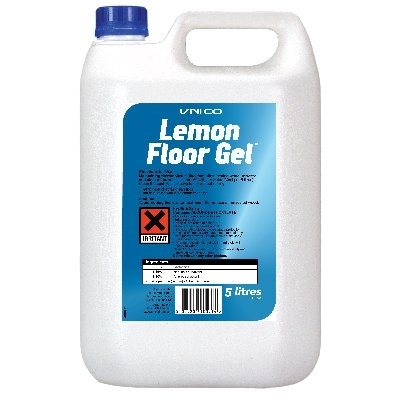 Its blend of waxes protects floors and buffs to a beautiful shine, leaving a fresh citrus fragrance. 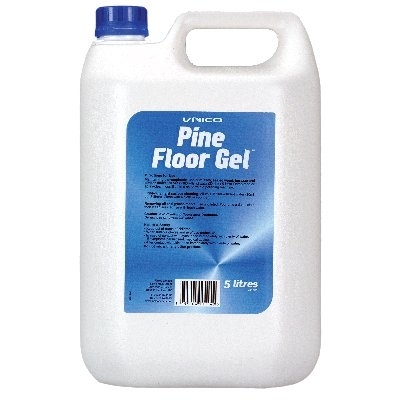 UNICO PINE FLOOR GEL 1 x 5 Litres Pine Floor Gel is a bactericidal floor maintainer. 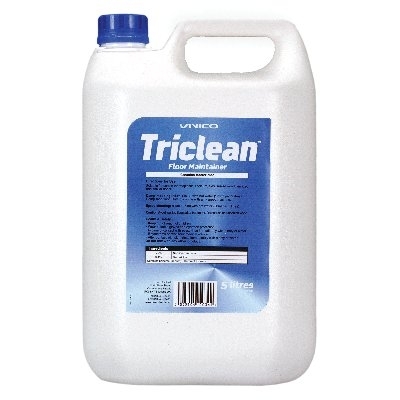 Being a highly economical cleaner, it is ideal for maintaining large areas of flooring leaving a clean fresh pine aroma in treated areas. It will maintain thermoplastic, linoleum, tiles, sealed wood, terrazzo and similar floors . UNISTRIP POLISH REMOVER 1 x 5 Litres Unistrip is a powerful floor polish stripper. It is designed to be used with scrubbing machines for the one-operation stripping of emulsion floor polishes, including metallised floor polishes. 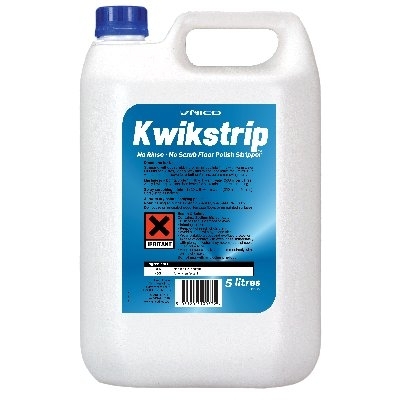 KWIK STRIP 1 x 5 Litres Kwikstrip is a concentrated floor polish stripper, which removes the heavy build-up of emulsion floor polish in one operation. I t leaves the floor primed for re-application of emulsion polish. No final rinse is necessary. UNICO CARPET SHAMPOO 1 x5 Litres Unico Carpet Shampoo will clean and enhance the appearance of carpets, rugs, carpet tiles and upholstery. It has a gentle but thorough cleansing action. 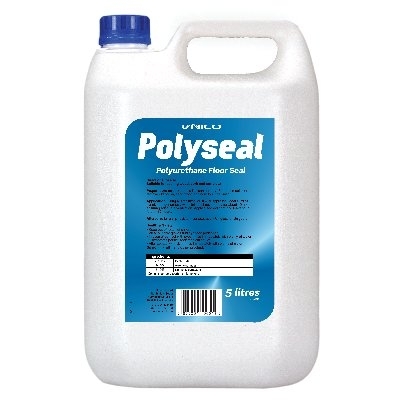 It can be used on almost any type of carpet or upholstery. © 2019 Regency Janitorial Supplies.